INS Kochi (Project 15-A) stealth destroyer of Indian Navy was launched on September 18. INS Kochi is a variant of Type 15 destroyers (INS Delhi, INS Mysore and INS Mumbai). Launched by Mrs Madhulika Verma, wife of Admiral Nirmal Verma, Chief of the Naval Staff. The second of the three Project 15-A Kolkata-class stealth destroyers, built by Mazagon Docks Ltd (MDL) in Mumbai. 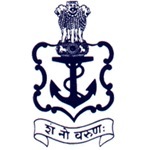 Designed indigenously by the Directorate of Naval Design and launched using pontoon-assisted launch technique for the first time to overcome draft constraints in launching heavier vessels. 6500 ton,163 metres long, with maximum speed of 30 Knots. Long Range Surface-to-Air Missiles (LRSAM). MFStar, multi-function radar system to provide accurate data on surface and air targets. Four AK-630 rapid-fire guns and a Medium Range gun for close-range defence capability. Indigenously developed twin-tube torpedo launchers and anti-submarine rocket launchers. NPOL developed Humsa-NG hull-mounted sonar. Expected to join the fleet in August 2012. The first in the series INS Kolkata launched in April 2006, is expected to join the Indian Navy in August 2011. Read more from Express Buzz.